Members of the Philip H. Corboy Fellowship in Trial Advocacy at Loyola University Chicago from left Edet Nsemo, Britney Pennycook, Teresa Russo and Benjamin Horwitz post victory at the In Vino Veritas National Mock Trial Tournament at Golden Gate University in San Francisco. 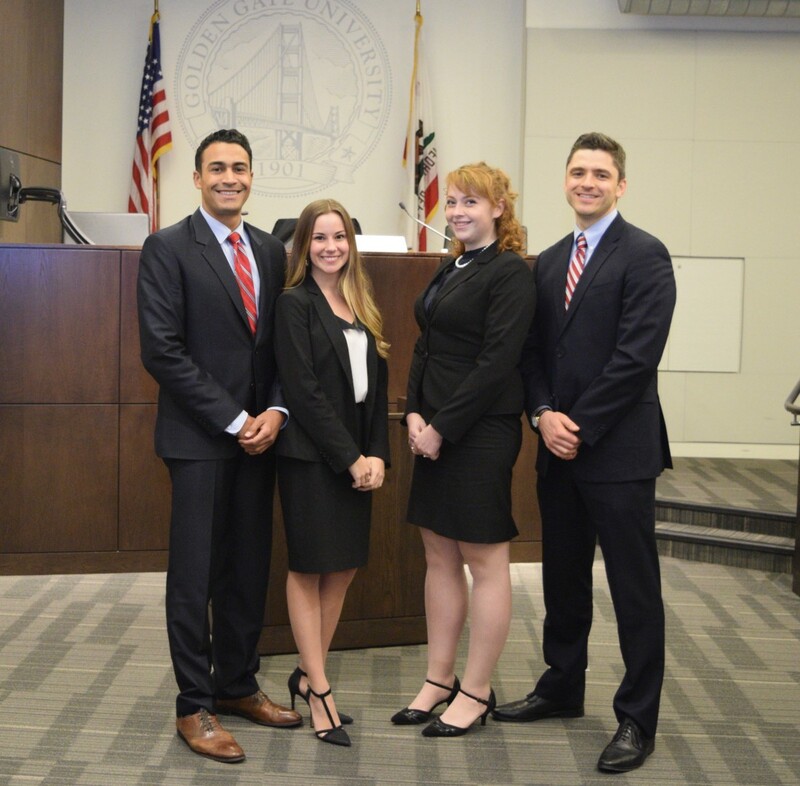 The Firm’s Josh Cauhorn coached students from the Corboy Fellowship at Loyola University Chicago School of Law which recently competed in and won the In Vino Veritas National Mock Trial Tournament at Golden Gate University in San Francisco. Over the weekend of October 28-29, Josh’s team bested teams from more than 15 law schools, including University of California-Hastings, Catholic University and American University. Josh’s students dominated in the preliminary rounds, easily making their way through semifinals and into the final round, where they prevailed over students from Tulane University. Josh was joined by co-coaches and attorneys Tracey Hawkins of Prusak Law Group and Koga Ndikum-Moffor of Chicago Public Schools. Loyola’s Corboy Fellowship and trial advocacy program is regularly ranked by U.S. News & World Report in the top ten in the country.